National League side Boreham Wood have signed former Portsmouth defender Joe Devera. 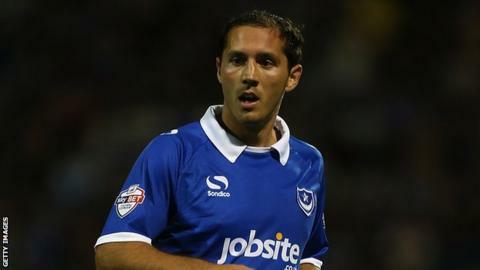 The 28-year-old centre-back has made over 300 career league appearances for Barnet, Swindon and Pompey. But he was released by Portsmouth in the summer after making 43 appearances for the League Two team last season. "I've brought Joe here to play and to add his experience and strength to the side," Wood manager Ian Allinson told the club website. "After 10 games I can clearly see who is struggling and as manager it's my job to rectify things as soon as possible and that's what I intend to do."